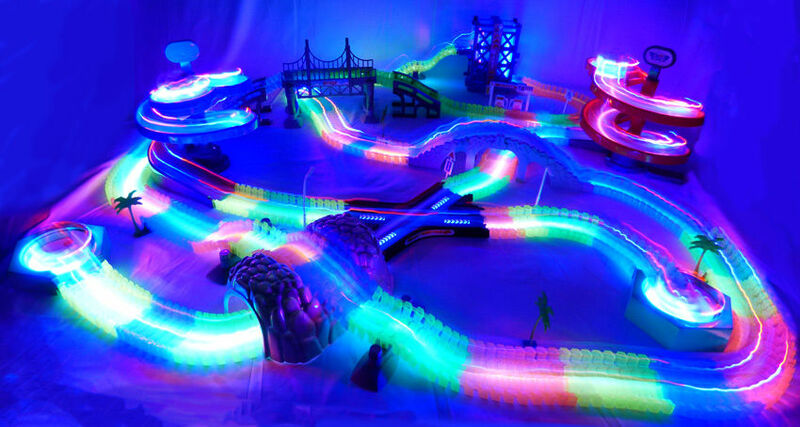 Light Up Twisting Race Tracks Lets You Create Endless Track Possibilities - Turn Off The Lights & They Glow! 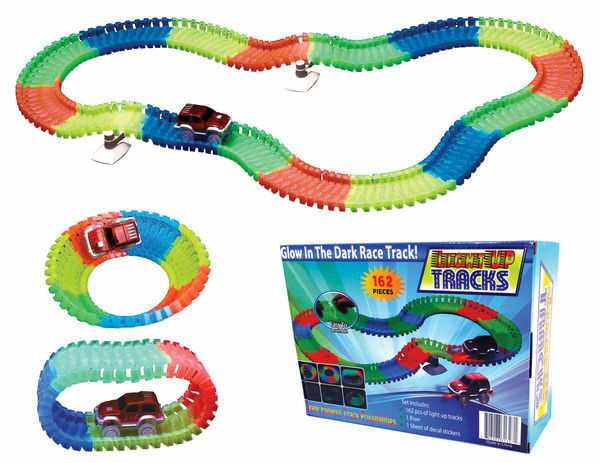 Glow In the Track twisting toy race tracks are the flexible, detachable tracks allow kids to easily change the direction and shape of the raceway for the light up race cars. Their minds will race with all the possible combinations! They'll flip for the 360-degree, twist, anti-gravity stunt loop that takes these cars for a ride upside down. Then, turn out the lights and see how the colorful tracks glow in the dark when illuminated by the vehicles. Make gift-giving season even merrier with this interactive set that will light up the room and a child's imagination. 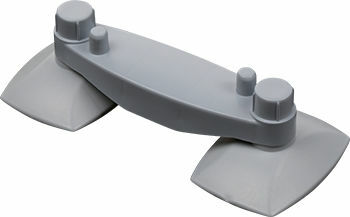 Each set comes with approx 11 feet of track, 1 track risers, 1 sets of stickers and 1 LED light up speed cars. Each speed car takes 1 AA battery. Amazing racetrack that can bend, flex and glow! You can change the design of your track into any pattern! 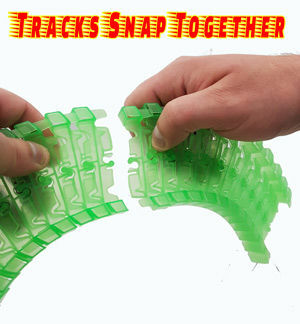 Just snap any track pieces together and in seconds you’ve got a customized speedway! 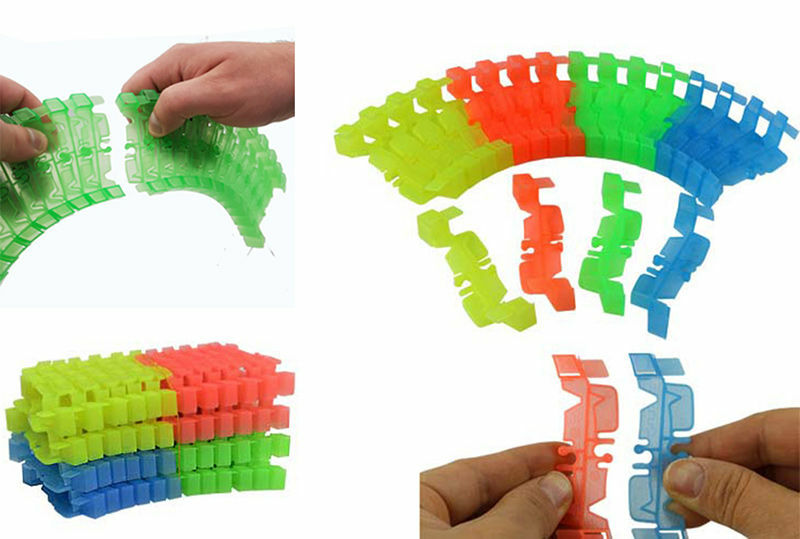 Detachable and attachable track in five bright colors. Great service!!! Arrived faster then expected.... Thanks again! I give the light up race track 4 out of 5 stars.